I’m finally back from my latest photo-trip. This time to Panama, where I was for a third time. Together with two other Czech photographers we photographed intensively local fauna and I must say we were quite lucky. 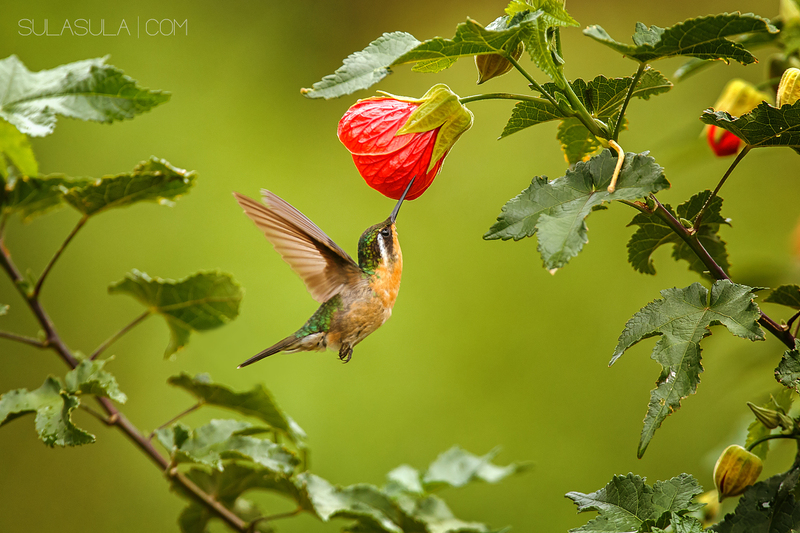 One of my top priorities was photographing hummingbirds that were supposed to be fairly abundant. That came actually true, even though each photo shoot at every location was fairly specific. After a first week at misty rainforests, it looked as though we’ll sadly never encounter nesting of the Resplendent Quetzal. We caught a glimpse of him a few times but not good enough to capture a decent shot. However, by transferring to a different location we found ourselves right in the heart of their nesting centre. Once, I spent over 20 hours across 5 days near their nesting hollow and in the end, I was successful at capturing their nesting habits. Considering the surrounding conditions, I’d rate this as the most difficult photographing of the entire trip – prolonged heavy rain, from a photographer’s point of view near darkness and repeated unwelcomed visits of one companion – local farmer’s dog, that for one reason or another, loved to wait with us by the nesting hollow. A third priority was supposed to be Kinkajou that we actually never even saw. 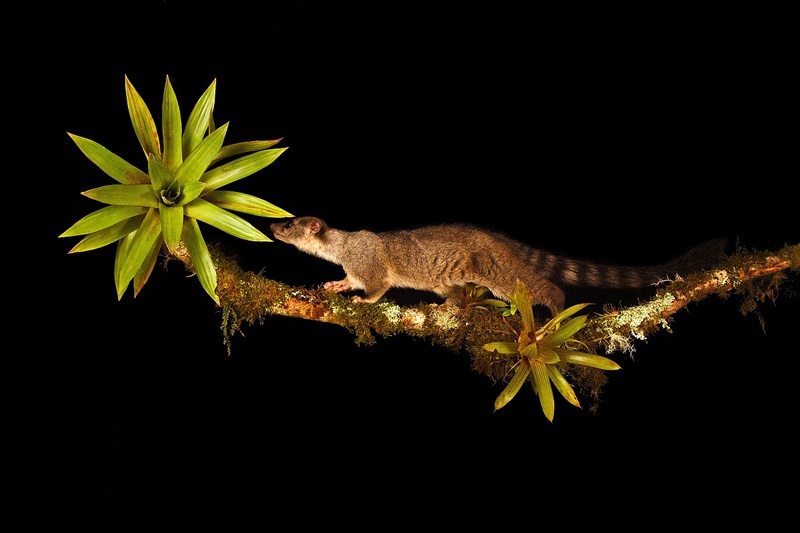 Fortunately, we gladly replaced him by another night animal called fret or cacomistle. And so came to life a photo, which I originally planned for Kinkajou. All in all, thanks to having that many creatures to shoot, I came home with over 2500 photos. I guess, about 35 photos will be proudly displayed in my photo gallery. 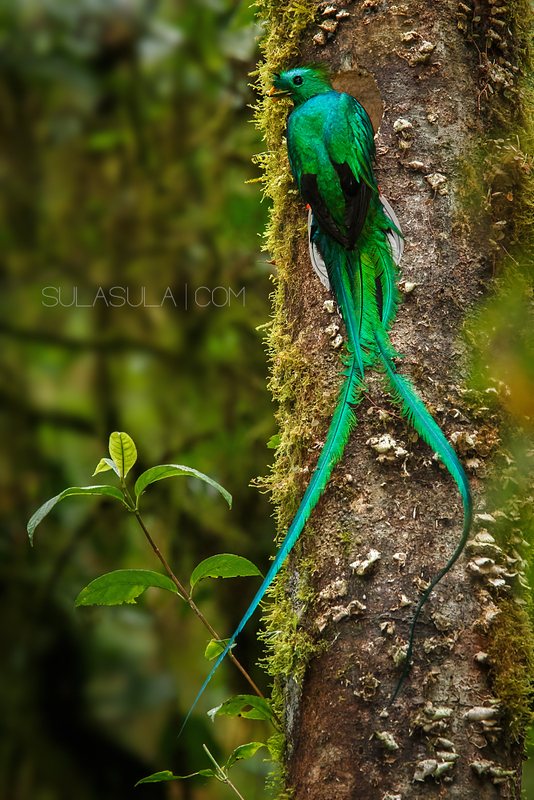 Also, I’m working on an article about a Resplendent Quetzal and their nesting habits for a Czech magazine Koktejl.